If there was ever something that struck the balance between cake and cookie, the madeleine is it. Slightly crisp on the outside, light and buttery on the inside – it’s a perfect two bite cake in cookie form. There’s not many things better than a fresh madeleine warm from the oven and much of that has to do with the fact that they become significantly less good once cold. 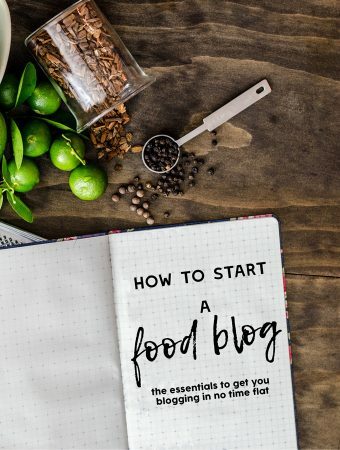 They’re pretty much just bite sized bits of cake so you might as well just go eat (a bigger serve of) cake (with icing chocolate). As with all the simple things, they are subject to little tricky parts. The question of baking powder is a big one, but both Daniel Boulud and David Lebovitz use it, so that pretty much ended the debate there. 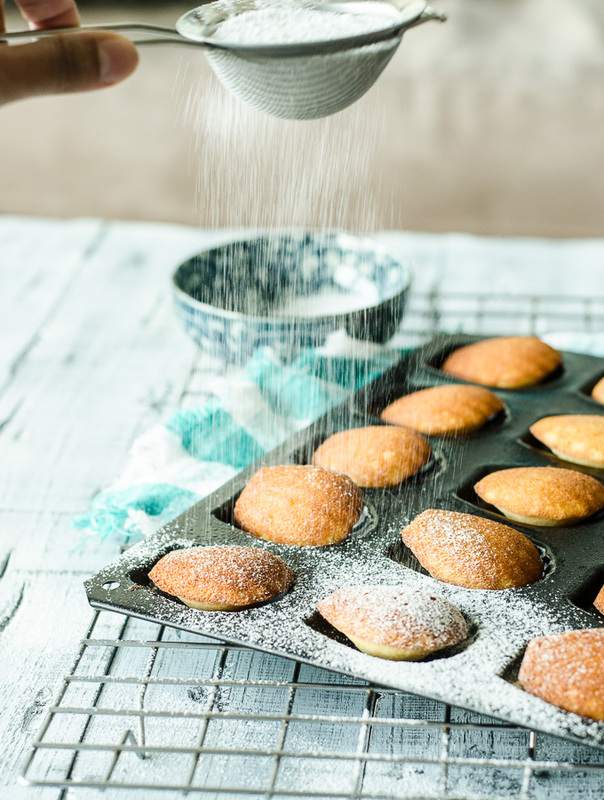 It might not be traditional, but isn’t it wonderful to bake in the modern world with baking powder that helps guarantee the little bumps on your madeleines? The rest is simple. Whisk your eggs until light, frothy and they leave ribbons in the bowl. I don’t think this stage is explained properly in most recipes but the mixture should have doubled in size, changed to a very pale yellow and be of a thick, frothy consistency. When lifted, the beater will leave ribbons that disappear into the mixture after a few seconds. A picture is worth a thousand words, so see below for ‘ribbon’ stage. This will probably take longer than you think and I don’t really recommend making this without an electric mixer. You should fold through the extra ingredients – use a firm hand and fold through the flour, then the butter. There is wiggle room in this step, just don’t mix it and knock it around too much or you’ll lose the air from your eggs. Rest and chill your batter. Resting allows the starch molecules to hydrate and the gluten to relax. I have skipped the resting when I’m in a real rush (way to live dangerously – only kidding). I must admit that I think it’d be hard for a bystander to notice the difference unless they were comparing both rested and unrested side by side. Don’t overfill your moulds. Sounds simple, but you’d be surprised. Fill them to three quarters full and not all the way to the top. I haven’t tried this, but some of my old fashioned spoons look like they’re are about the same size and shape of a madeleine – I suspect you could use them if you don’t mind them going into an oven. Alternatively, use a mini muffin tin (or just make a real cake). If you are going to buy a madeleine tin, try to find one with really pronounced indents – in retrospect, mine don’t have as much of that scalloped shape that I like. Bake to your personal preference – under-baked madeleines are lighter and slightly over-baked ones are crispier at the edges. If you opt for the latter, they’ll look barely cooked, so make sure to check them at 5 minutes – the underside that’s in contact with the pan cooks much faster. For this reason I prefer to cook mine in the top third of the oven. Either way, they’re best warm from the oven so eat them as soon as possible. Whisk flour, coconut, baking powder and salt in a small bowl, just to combine. Using an electric beater or stand mixer on medium high, whisk eggs for 30 seconds then gradually add sugar. 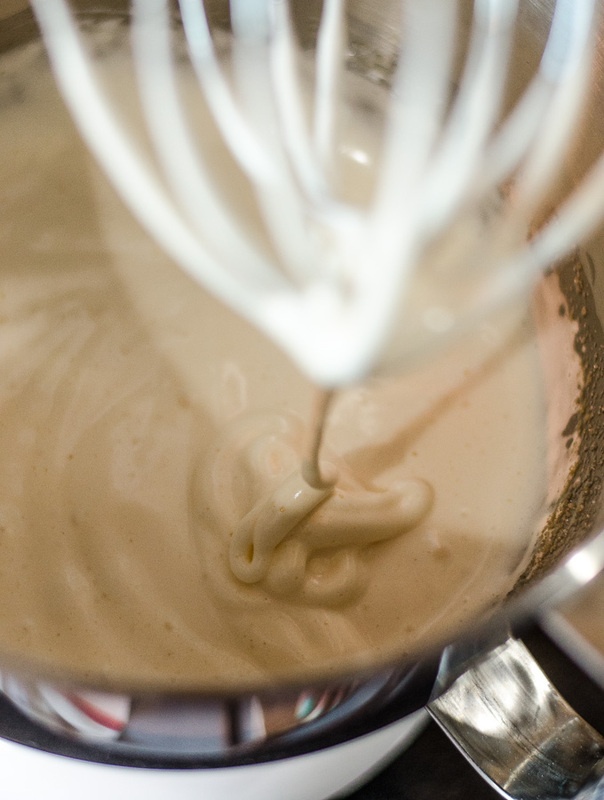 Continue to whisk until pale and thick - or to the ribbon stage - about 5-6 minutes. Fold the flour mixture through the egg mixture until combined. Melt the butter then add the honey and stir. Add the butter to the batter and fold through. Cover batter and chill until using - at least an hour is preferable. Preheat oven to 200C. Butter or use cooking spray to grease a madeleine tin. Fill each indentation about three quarters full, then bake for 5-8 minutes for mini madeleines - I think mine are mini but I'm not sure. They are cooked when the centres are risen and spring back when pressed.